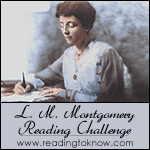 How are y'all fairing on the Lucy Maud Montgomery Reading Challenge? I set my expectations low for the month, selecting one book of short stories. All you need to do to participate is read just ONE book! That's all! 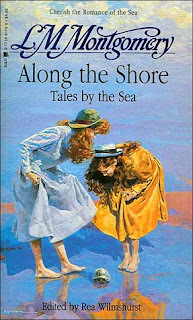 I personally had not read any of Montgomery's short story collections in awhile and so I glanced through my books and settled on Along the Shore. This book features stories which are set along - wait for it! - the Prince Edward Island shoreline. There. I knew you'd be surprised by that! I have the Bantam Starfire edition of this book which you see pictured here. I've now been to Prince Edward Island three times: once with my best friend in law school, once with my husband, and once with our whole family. Each time was magical in its own way and I do not think I will ever, ever grow tired of visiting. (My family might get tired of repetitious trips when there is a whole world to be explored but I would be content with constant repeats.) There is just something altogether magical about the Island. I don't know what it is, but it is. In my case, I might particularly enjoy the ocean views a bit more than anyone else in my family because I grew up in South Texas along the Gulf Coast. The waves were always just a few blocks away from where we lived and the sound of the ocean is a familiar comfort to me. There is something calm about hearing the waves crash loudly on the shore. Being at the beach, (or, when we lived in Oregon, along the rocky coastline), reminds me of just how small I am and how big God is. This thought soothes. In light of the crashing of the waves, everything else seems to feel the need to be still and quiet and I just love it. 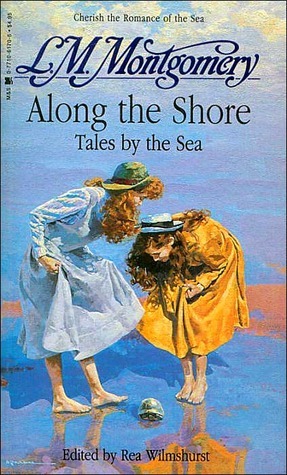 Re-reading Along the Shore was fun for me because I can very easily visualize the scenery which Montgomery describes. Each of the characters in this set of stories is drawn to the water in some form or fashion; it is in their blood and they cannot escape it. This book contains love stories, sob stories, and children's stories and in each one I found a person to identify with. Of note in this collection is one story in particular. For every critic of Montgomery who says her writing is too syrupy sweet, I give you The Waking of Helen. It is bold, honest and, quite frankly, depressing. It is definitely an example of the dark side of Montgomery which only comes out in bits and flashes and this one tale alone makes this collection stand out, in my opinion. There are a few short stories here that will also be familiar to fans of Anne. Montgomery clearly harvested ideas from some of her shorts when writing the Anne series. Still, I had a very good time and enjoyed myself thoroughly. I always do. I'm glad I pulled Along the Shore off the shelf. It gave me a good breath of salty air which I was rather badly in need of. The wondrous thing about books is that they can transport you to places in your imagination which you cannot easily get to on your own. An imagination is a gift and I'm glad Montgomery had one because it has allowed me peaceful moments in the storms of life over and over again! I love L.M. Montgomery for this gift. It truly is a gift! This sounds like such a good read! I'm glad you enjoyed it... And now I look forward to reading some of those stories myself one day.